All in your point of view. Seattle has come out on top in a poll. That’s good! 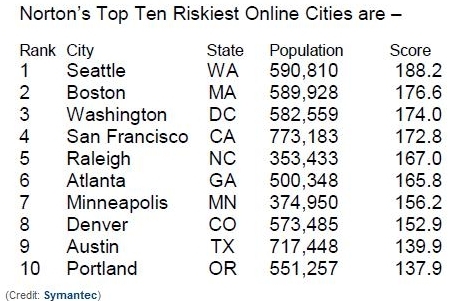 The poll is on…cities that are most vulnerable to cybercrime. » Windows fucks up New Year’s Eve fireworks. In Seattle. Perfect. » Wow, a Seattle TV station is attacking us. Wonder how that happened?